Mark Luv, a turntable veteran of 29 years. Though only in his early 40s, the Los Angeles native has trounced all would-be contenders who have challenged him for supremacy on the decks. With his diverse talents, Mark has also become a club mainstay in Los Angeles, spinning at many of the city’s seminal hip-hop nightspots. His residency credentials are impressive with stints at Unity, Jamaica House, Glam Slam (the club formerly owned by Prince), Atlas, Century Club, Project Blowed, and Jamaican Gold. In addition to his residencies, he has graced the turntables of Urban Phenomenon, Hollywood Live, The Palace, The Sunset Room, Paradise 24, the Arena, and the Palladium during its heyday. He was a featured DJ at all the Cypress Hill Smoke Out events as well as having played an unforgettable hip-hop set at the Nocturnal Wonderland in 1999. He also took the stage at Audiotistic, the Cypress Hill 4-20 concerts, and the Dragon Festival. He also helped concert promoter Chang Weisberg produce the first Rock The Bells concerts (including the legendary Wu Tang Clan reunion) and has DJed at all the L.A. shows. Aside from being a legend in the underground scene, DJ Mark Luv has also graced the turntables at high profile events such as the Soul Train Awards after party, the Spider-Man Premier Party, Various Grammy Award Parties, Higher Learning Wrap Party and Premier Party, and ALMA Awards after party. He has also spun the Birthday parties for celebrities such as Will Smith, Wesley Snipes, Regina King, John Singleton, and Warren G.
On record, Mark’s precision cutting and scratching have been forever immortalized on tracks by the Pharcyde, The Liks, Me’Shelle NdegeOcello, Spearhead (a Wyclef remix for their hit single, “Hole in the Bucket”), Dred Scott, Chino XL, Ras Kass, Mykill Miers, the Anonymous, Western HemisFear and Ghostface Killah. Mark is also omnipresent on the airwaves through DJing on LA urban radio. He has been heard regularly on 100.3 The Beat. 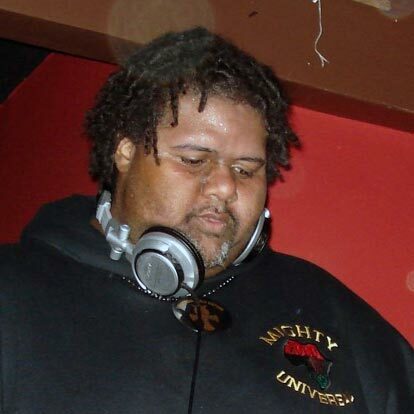 From 1996 through to ‘97, he headed up the mix for Michael Mixin’ Moore’s “Militant Midnight Mix”. He also obtained his own mix show on Flava in Ya Ear with DJ Don and the Poetess. Mark was an integral part of Soul Assassins radio with Cypress Hill and DJ Babu and DJ Rhettmatic, as well as Saturday Night Mix with Eric Cubiche. DJ Mark Luv has taken his talents all around the globe and has rocked in such places as Rome, London, Japan, Jamaica, Canada and Germany. This turntable legend has been featured in many publications worldwide. He’s graced the pages of Rap Sheet, Rap Pages, URB Magazine, ClubLife, DJ Magazine, The Source, LA Weekly, Import Tuner, Industry Insider and the list goes on. DJ Mark Luv has also appeared on various television broadcasts. He was a featured DJ on Yo!MTV Raps, BET’s Rap City, Nickelodeon’s Cousin Skeeter, Nickelodeon’s All That, and others. Through his knowledge and experience, Mark has been the promotion manager for record stores such as Fat Beats and Stacks, The Vinyl Authority, owned by DJ Icy Ice (Beat Junkies). He was also a instructor at Jammaster Jays’ Scratch DJ Academy. His connections have allowed him to bring guests such as Cypress Hill, Souls of Mischief, DJ Revolution, Arabian Prince, Jungle Brothers, MC Lyte, Beatnuts, and DJ Q-Bert to the stores and academy. Mark’s passion for hip hop runs deep. He is aligned with one of the most respected collectives within the hip hop ethos, The Universal Zulu Nation. Mark has been a member of the Mighty Zulu Nation since 1991. He was first enlisted in the Zulu Warrior Security by Zulu Ed and Zulu Kevin, and was eventually made a full-fledged member by the legendary Africa Islam of Rhythm Syndicate fame. Mark has since attained the level of Zulu King. In addition to becoming a Zulu King, he currently heads up the West Coast HQ of the Universal Zulu Nation. DJ Mark Luv currently has a internet radio show called Zulu Tribe Radio on Breal.tv a 24 hour internet radio network with B-Real of Cypress Hill.